Northern Arizona University received affirmation of reaccreditation from the Higher Learning Commission (HLC). This is the result of NAU’s strong accreditation submittal to the HLC and the commission’s positive experience at NAU during its October site visit. The university’s accreditation renewal process is a standard practice that occurs every 10 years as a way of ensuring that degree-granting educational institutions are meeting the expectations outlined by the accrediting agency. 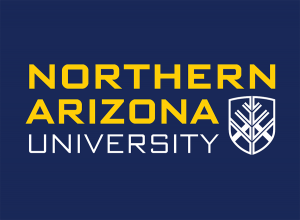 NAU has been accredited since 1930. The university was judged on five criteria: mission and integrity; preparing for the future; student learning and effective teaching; acquisition, discovery and application of knowledge; and engagement and service. “This has been a tremendous team effort, with thanks going to vice provost for teaching, learning design and assessment Laurie Dickson, members of the steering committee for leading us through the reaccreditation process and achieving the maximum reaccreditation of 10 years and the faculty, staff and students who participated in this effort,” NAU President Rita Cheng said. NAU received numerous accolades and a strong recommendation for continued accreditation from the HLC. The team members noted they were struck by the consistent positive attitude of administration, staff, faculty and students at NAU. The team also noted that NAU’s responsibility for the quality of its education program is an area of strength and has improved since the last HLC review. They also acknowledged there is a tremendous amount of pride for the institution and a positive outlook for the future. Cheng said she is pleased with the progress made since NAU’s reaccreditation in 2007 and welcomes the opportunity to provide additional information to the HLC in 2019 regarding increased channels of communication across campus. The university has already taken many steps to enhance communication as to how NAU is growing in order to expand its leadership position in student success initiatives and meet the increasing need for an educated workforce in Arizona. NAU is slated for its next accreditation renewal in 2027-28.